Ladies, we get it -- you want your hair to be gorgeous, glowy and flowy, but you don't always trust what every hair product company has to offer. After all, you don't know what half are these ingredients are and frankly, you don't want to know. The thought of putting harsh or damaging products in your hair is revolting, to say the least and all you want is a little haircare relief. Not to worry -- we got you! If you've never thought about making your own hair recipes, it's time to start opening your mind. Often times, they're not difficult to draw up as you might think and they do WONDERS for your hair. 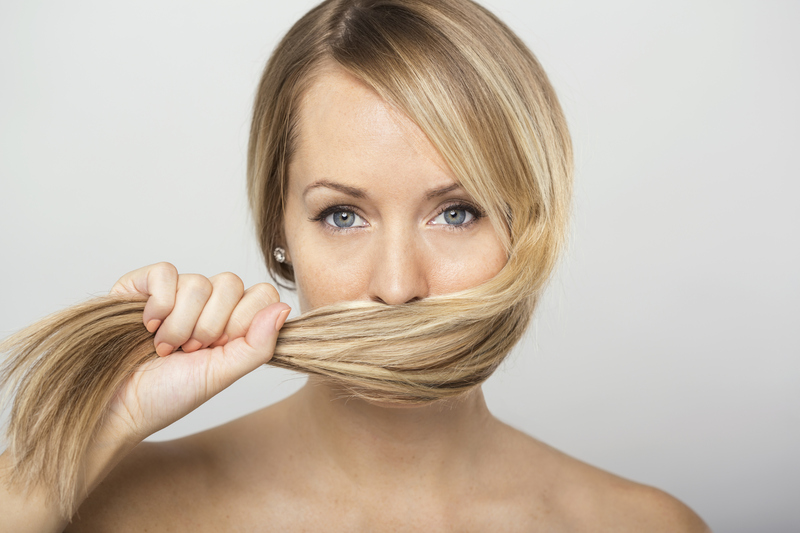 If we've got your attention, then take a look at a few awesome and healthy DIY hair recipes that will completely change your life. Clip hair up and let sit for 30-60 minutes. Let sit for 5 minutes then rinse with warm water. Cover hair with shower cap and let sit for 20 minutes. Apply to hair and let sit for 30-40 minutes then rinse. Mix then apply to dry hair. Tomatoes are very rich in Vitamins A, C, and K, all of which you can find in a slew of facial products today. These vitamins contribute to healthy skin, and the acidity works wonders to reduce clogged pores and acne. Lycopene also works against free radicals such as pollutants that can damage our healthy skin cells. This scrub can be done once or twice a week, which is plenty for a good physical exfoliation. Using half a tomato, sprinkle the fine granulated sugar on exposed part of the tomato. With slow circular motions, gently rub the tomato onto your cheeks, chin, forehead and nose area. Just one or two passes on each area, and remember light pressure! After a few minutes rinse the scrub off with warm water and follow with a moisturizer. Tea tree oil is one of the most powerful ingredients to fight acne. Its properties are both antibacterial and antiseptic. This easy to make spot treatment is great to leave on overnight. Acne is often visible because of the inflammation in the pores. The raised, red, swollen appearance can be reduced with the right toner. This easy, two ingredient toner with apple cider vinegar and green tea is anti-inflammatory and will help reduce that redness.